Due to the ever-increasing competition, the international flat glass industry sees the need for more transparent processes and exact information on essential business and production parameters. The reason is not only the fact that glass processors have to provide their customers with precise information on the status of their orders, anytime, in order to improve their delivery reliability. ALBAT+WIRSAM meets this demand with a totally new generation of business solutions centered round the project "DRAGONFLY". Major elements of this new product generation can be integrated in existing ALFAK installations even now. A+W Business Solutions:New feature "Entry-Level Capacity Scheduling"
Medium-sized companies using no PPS solution can profit from an ergonomic and easily configurable capacity planning in multiple ways. This does not only apply to production timing but also to the entire cost accounting and the transparency of ongoing and scheduled production processes. This is where the new A+W capacity planning entry-level solution comes into its own, offering to the users of A+W Business Solutions a slim and versatile tool. It does not only support the production manager in scheduling machinery processes but also the account manager in providing information on possible delivery dates, production status, etc. When an order is scheduled, cost calculation has already been run and the management has been informed of the contribution margin. Unlike complex and sophisticated high-end solutions, the new capacity planning can be easily configured by the user and adapted to the company’s individual needs. Next Generation A+W Business Solution: "DRAGONFLY"
An essential contribution to the transparency of all business processes are ergonomic, graphical user interfaces which can be mastered even by less experienced users. Thanks to the use of new development technologies securing the sustainability with regard to future operating systems, it offers enormous optimization potential. ALBAT+WIRSAM are therefore developing an ERP solution for medium-sized glass processors; a pilot project is being scheduled for the spring of 2012. 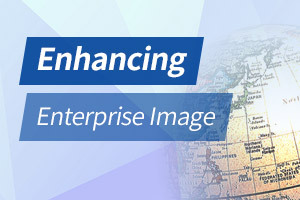 A+ W’s fully integrated barcode solution in connection with ultra-modern MICROSOFT Windows CE scanners now permits users of the ERP-system ALFAK - and in the near future "DRAGONFLY" – instant and wireless registration. All scans are entered in the database straight away, and the user gets immediate feedback as to whether data registration has been successful. This entry-level solution in the scanning process technology makes your data more transparent. Whether in incoming goods – or in the shipping department – the user will feel the benefits in his daily business! The scanners used are robust industrial computers connected directly to the Wi-Fi, therefore requiring no cables or readout stations. Equipped with the Windows CE operating system, they simplify the technical integration and allow intuitive and easy working.